30 East End Avenue is within a community that is mostly composed of college students and has given Yorkville the nickname "Dorm District". Built in 1950, located in Brooklyn.This building is owned by R & A ASSETS LLC and managed by the Parkoff Organization The area of Yorkville has an average family household percentage of 56.2% with an average household size of 2.2 people. This lets us predict how much water is usually used per household. A large residential development like 30 East End Ave faces unique challenges when trying to reduce costs while keeping their property operations running smoothly. Every problem and every cost is amplified on a large scale. 30EastEnd condominiums were concerned with their constantly increasing water and hot water usage and the rising cost of water and energy in New York City. They needed a solution that would work on a community wide scale and they needed someone that would be able to implement that solution seamlessly. 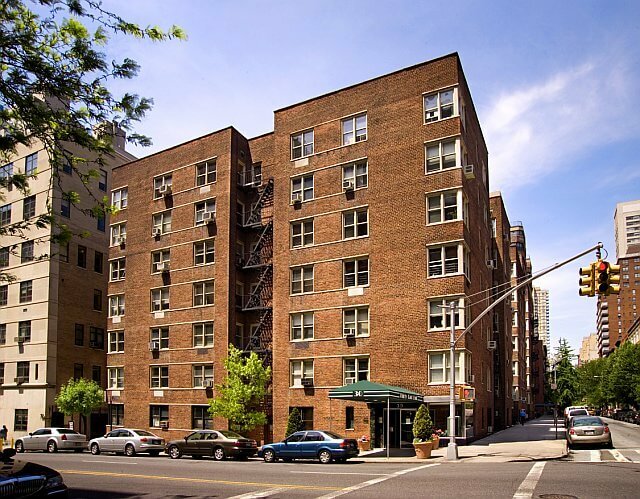 The management team at 30 East End Ave turned to The Water Scrooge because of their industry leading, proprietary solutions and their track record reducing water and hot water related costs in large multi-family properties in the New York City area. The Water Scrooge team needed to identify the cause of the rising water usage at 30EastEnd so they can provide the right solution, and they had to do it for more then 170 buildings. They started by analyzing the water usage for the entire 30EastEnd development, building by building. After extensive research, The Water Scrooge was able to propose a solution. The Water Scrooge implemented their solution in phases in order to test their assumptions about the causes of the community wide water problem. After succesfull deployment in the first group of buildings, they scaled up to the rest of the locations. The Water Scrooge was able to identify the root causes of the high water usage, and and confirm the reduction in water usage at each building throughout the project.